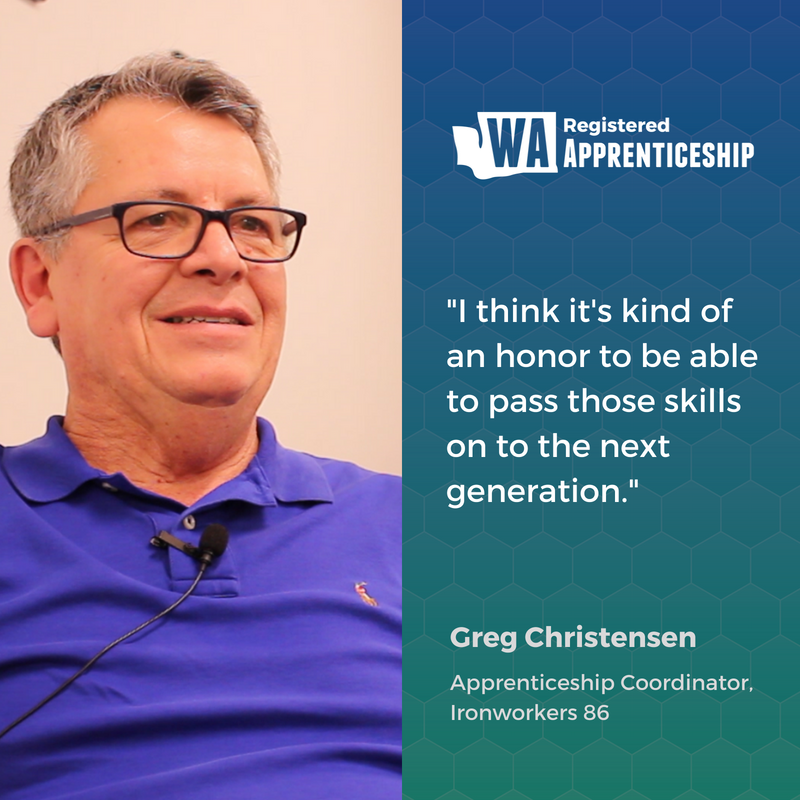 We've created a wide range of marketing resources for industry employers, educators, training organizations, and others to promote apprenticeship as a learning model throughout Washington State. Check back often as this page will be regularly updated through June 1, 2018. Last updated: June 1, 2018. 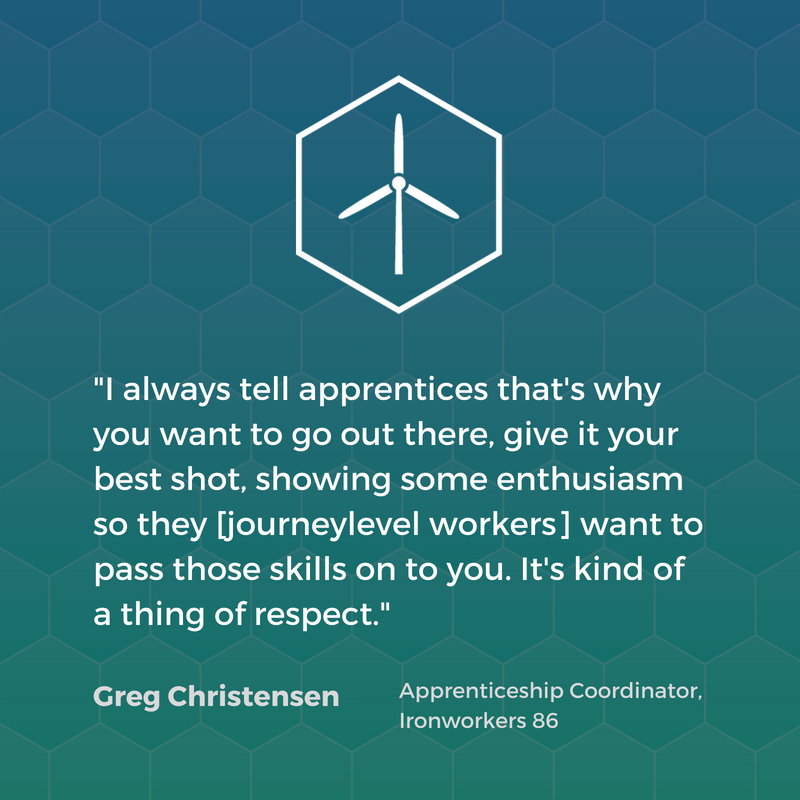 These quote cards are a great way to promote Washington Registered Apprenticeship on your Facebook, Instagram, Twitter, or other social profiles. Click a thumbnail to view the full-sized image, then right-click and choose "Save As..." Then, post to your favorite social site! We created these videos with job seekers in mind. 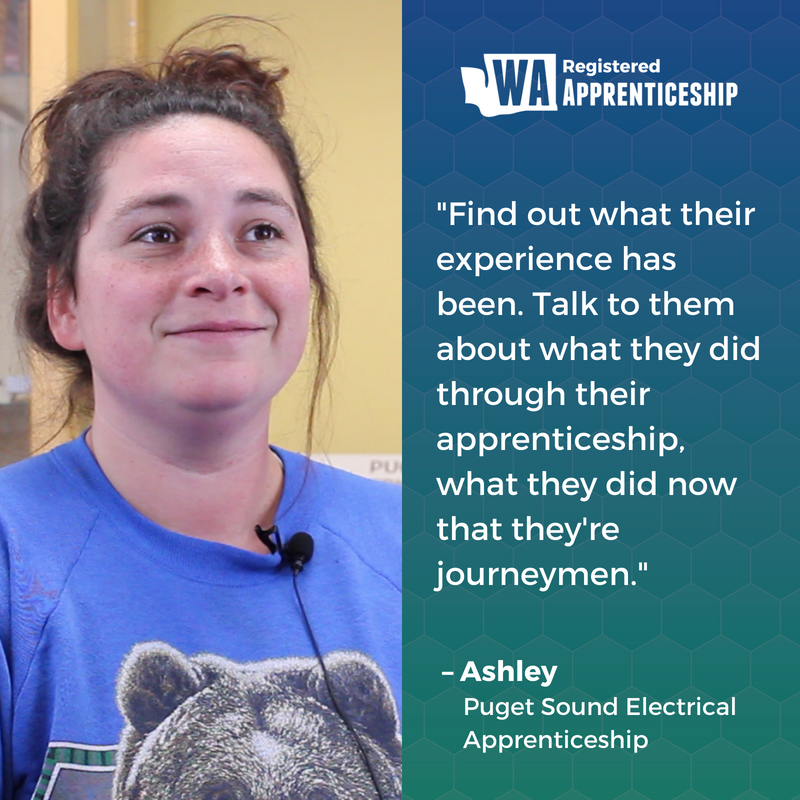 Each 4-minute video includes advice and stories from apprentices in Washington State along with subject matter expert commentary to help people who are looking for a new career learn about apprenticeship. It's easy to share these videos on your own social networks or even embed them onto your website. Click the arrow in the upper right corner of the video player. Click a social network icon to share. Or, click the three dots icon to view the video's home on YouTube where you can get the embed code to place the video on your website. In addition to the job-seeker focused edits above, we have created ten videos highlighting the unique perspectives of apprentices and experts on apprenticeship, available in the playlist below. 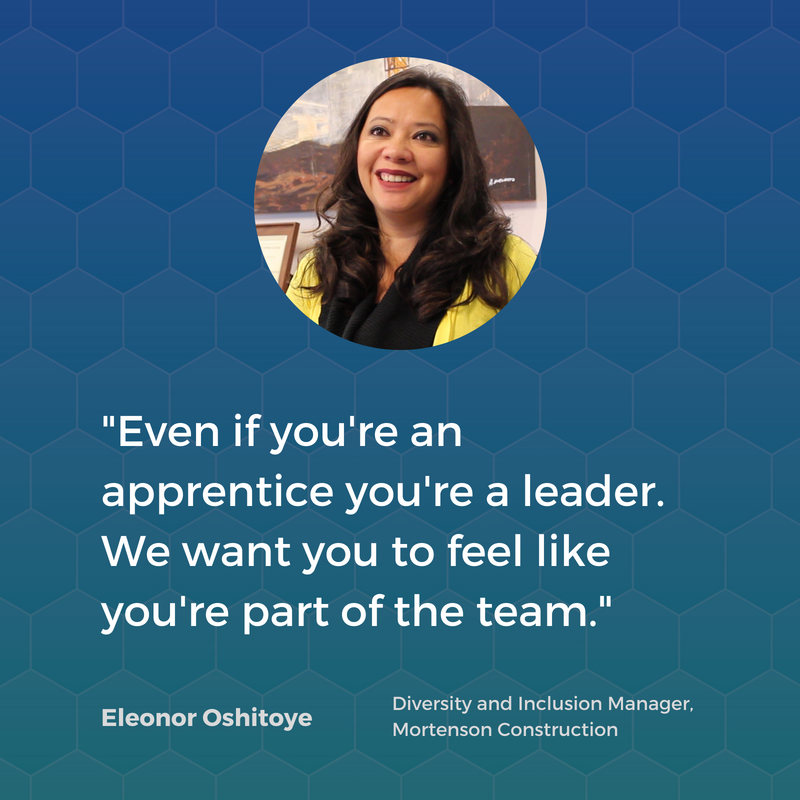 We created this webinar to help business owners, associations, and other workforce organizations learn how apprenticeship can benefit businesses in industries from education and healthcare to construction and the marine trades in this informative webinar. This webinar is dedicated to Pat Perez for his contributions to Washington Registered Apprenticeship. It's easy to share this webinar on your own social networks or even embed it onto your website. Use this letterhead for official documents, memos, and simple 1-page flyers. We've provided two templates: one with the brand fonts and one without, for when you are sharing documents with others who may not have access to the brand fonts. Use this slide deck template for presentations, seminars, and career fairs. We've provided two templates: one with the brand fonts and one without, for when you are displaying the slide deck on a computer that doesn't have the brand fonts installed. Effective marketing starts with a great brand. 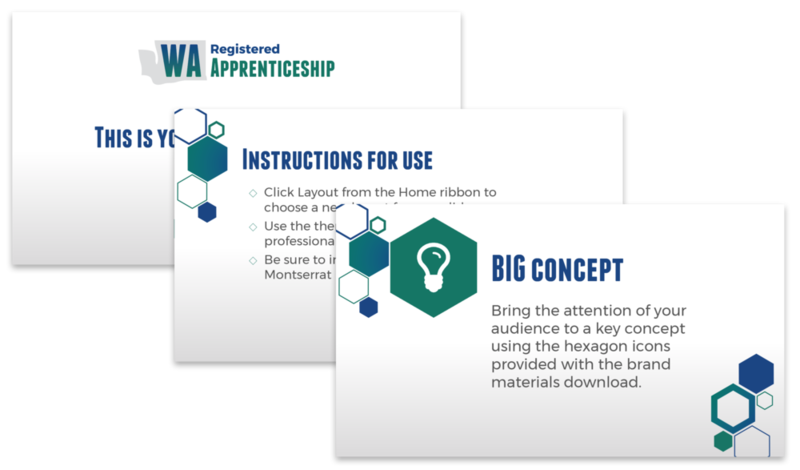 Here you'll find logos, patterns, fonts, and other elements of the Washington Registered Apprenticeship brand.